Manila, Philippines - Manolo Pedrosa dubbed as the 'Wonder Son ng Quezon City' is up for eviction this week from the Pinoy Big Brother house after the live nomination night of 'PBB All In' on Sunday, August 3, 2014. Though Big Brother announced that Manolo was the latest evictee and may now leave the house as heard by the other housemates, it was verified that he will be given the chance to stay through Insta Save challenge. Some netizens thought that Manolo was alraedy evicted from PBB as 'Bye Manolo' trends on micro-blogging site Twitter few minutes after the announcement. Unknown to the housemates, the fakely evicted housemate will be separated to them. In the succeeding days, more housemates will be fakely evicted as part of the 'back-to-back-to-back eviction'. Among them, one will be saved through a challenge; while the others will face the real eviction night. 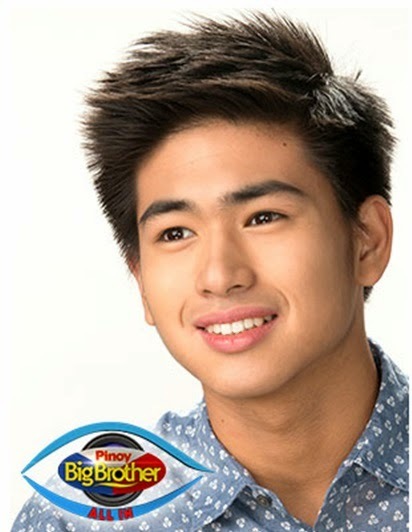 Manolo got 6 points from the special eviction process called 'PBBHarapangEviction'. Maris and Vickie gave him 1 point each while Jane and Joshua gave him 2 points each. "Feeling ko, malakas ka na sa labas. Takot lang ako," Joshua said to Manolo. Meanwhile, the 'Tatay's Boy ng Batangas' Joshua Garcia received a total of 4 points from Daniel and Maris. Other housemates Jane, Daniel, Maris, Vicke, Loisa were also saved from the fake eviction. The live nomination of PBB on Sunday dominated online conversations with '#PBBHarapangEviction', '#JaneOinezaUntilBigNight', 'ALL IN Support For Maris', 'Why Maris' and 'Bye Manolo' topped Twitter trending list.